Good Morning , Good evening and good afternoon to you all, think I have covered all of the time zones ! For those of you in the UK who have been given the day of to watch the royal wedding enjoy ! Just wanted to say a quick thank you to all my followers who take the time to pop by and leave a comment I know how busy you are and how many amazing blogs there are out there ! As many of you know I only started crafting in December and blogging since the end of February this year and I can’t believe that I have nearly reached the 100 follower mark ( Three to go ). So a big thank you to you all. Now down to business …… Over at Dragons Dream there have been developments ! Frankie now has a fabulous design team to inspire and motivate us and due to the fact that she has had an operation on her hands and is recovering ( get well soon ) has left the lovely ladies in charge. Their them this week is to make something with a pocket on . Go over and check out the DT some fabulous pieces ! 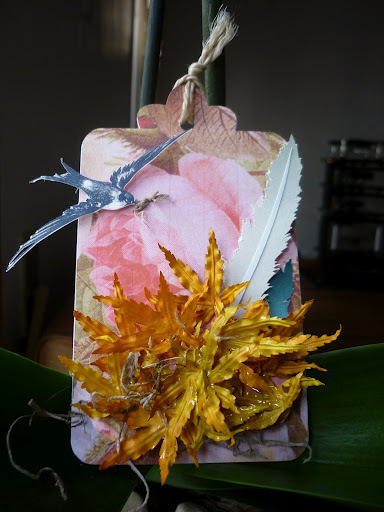 I made this tag and covered it with some lovely floral paper, created a pocket or is it a nest ! from some dried leaves that didn’t want to stick to the card but preferred my clothes . R & B ( the mutts ) definitely enjoyed the 100 or so that fell on the floor ( It was like Autumn in here last night ) Made a couple of feathers to go in my nest sorry pocket and added a little birdie carrying some twine. Hope you all had a super Easter and where able to spend time with your loved ones friends and family. I have been trying to write my little post here for over half an hour and I’m lost for words ! Why is that ? ( asking and answering my own questions now ! ) well mainly because I don’t have anything to complain or moan about ! For those of you who are reading my blog for the first time it is usually filled with the latter but in a cheery way if that’s possible. So I had just better get on and show you my piccies. Over at Just for Fun Von has set us a challenge and the theme this week is ” Square ” I try every week to play along as I really love these ladies . Sorry am a bit late but as they say ( who are they ? ) better late than never. 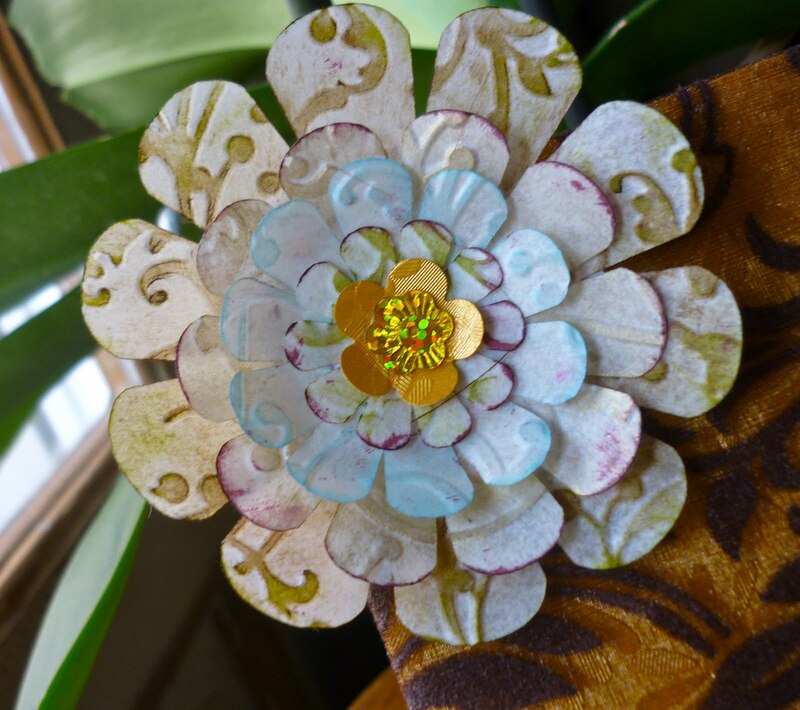 I made a sort of pocket thingy ma jig with much difficulty I may add ( does this count as moaning ) and covered it with some pretty papers from my stash which I distressed a little at the edges. 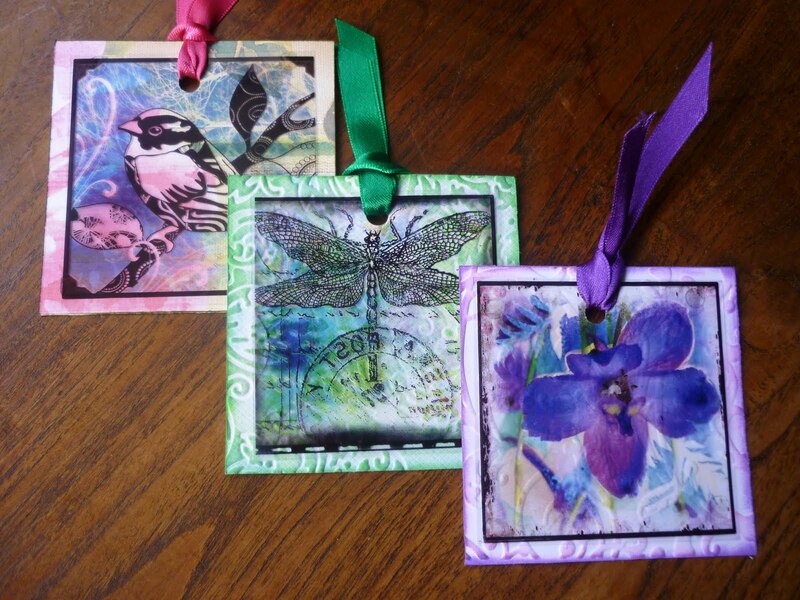 I then made three square tags with some over acetates from Crafty Individuals mini books which I had left over from another project. 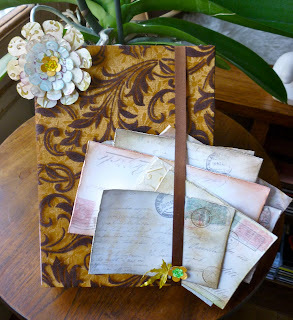 I backed them onto various papers , distressed with coordinating inks, added a ribbon , made a little flower for the front. All the little tags have images at the back as does the pocket thingy ma jig but didn’t want to bore you with too many photos. The three tags each fit into their own little pockets which I don’t think is quite clear from the image above but they are there I assure you. 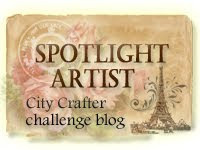 Also want to enter ( my second entry) for the Crafty Individuals challenge which is ” Square or Squares. Less is More " Off Centre "
This is my second attempt at a Less is More challenge. 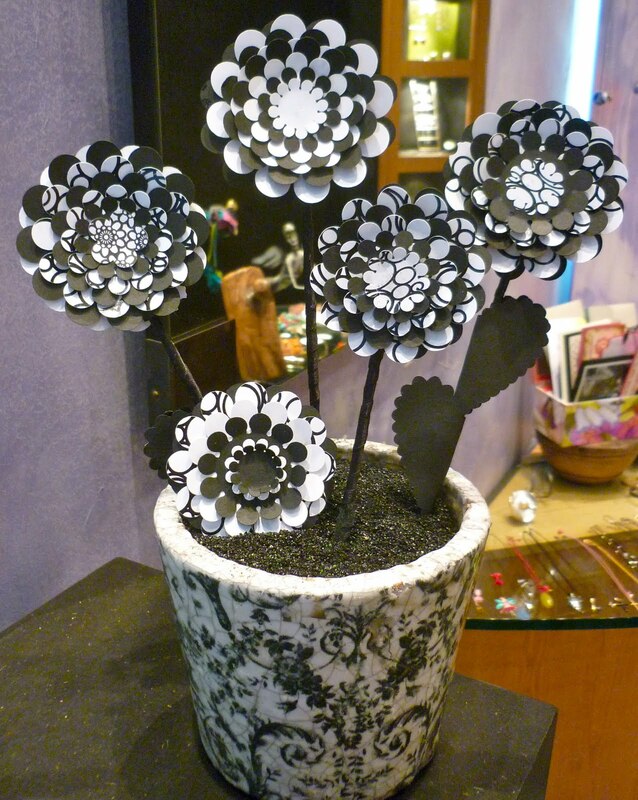 Last weeks being acetate and a toughie I thought that this weeks challenge being “off centre” would be a doddle ! No doddle here though ! As a newie to these challenges but a follower from afar I have come to realise that it is a lot more difficult than it looks. I admire all of you wonderfully talented ladies who week after week pick up the gauntlet and create such amazing pieces of art , because for me that’s what they are. I would also like to thank everyone who took time to comment on my first entry last week for LIM challenge acetate I was overwhelmed by your lovely warm welcome and your comments all of which where truly appreciated. Even though my card may seem simple it has taken me hours to try to get the right layout and the correct proportion of the images, not to mention the sihouttes the tricky little devils ! Then again you all know that because your here once again with your amazing Less is More masterpieces. I do hope I am off centre enough and if I’m not please let me know. It’s Easter week and am working very long hours ( I own a jewelery shop ) so this week don’t have much time for crafting or even my usual moaning . 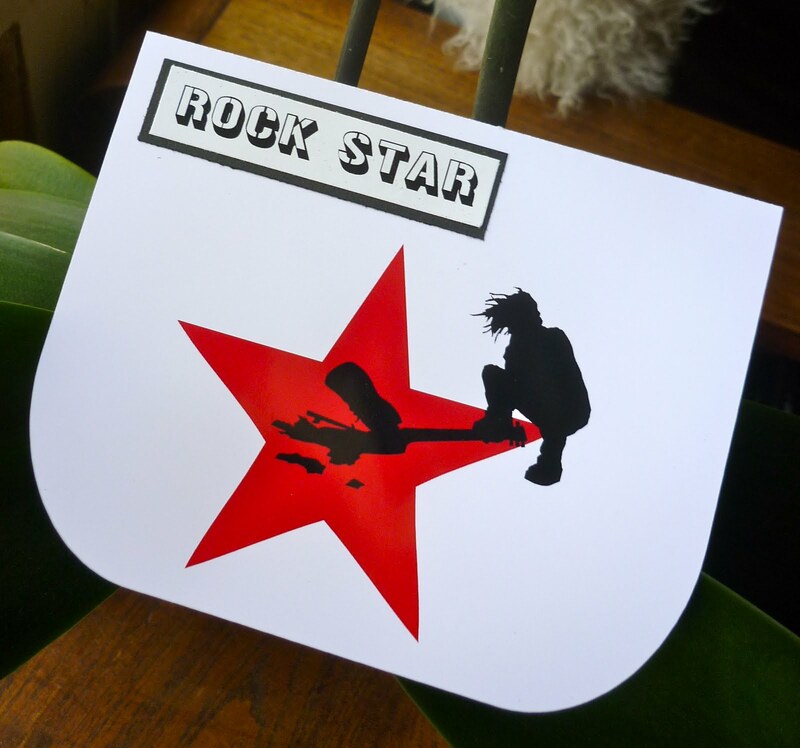 So as my Easter gift to you all will spare you the usual …….. how difficult it was to make my little gem and what the dastardly duo (R & B the mutts ) have been up to and get straight down to the nitty gritty. Be warned ! next week will be back to usual and all my crafting sob stories, so enjoy the piece and quiet while you can ! 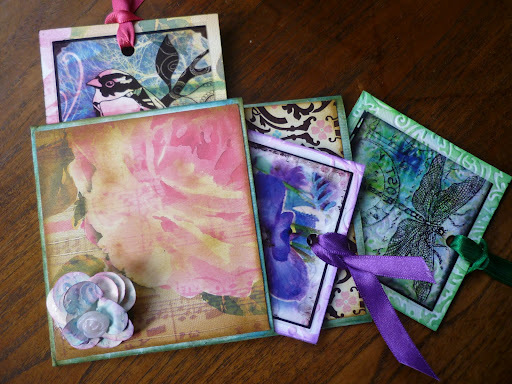 The Three Muses this week have set the theme” Postcard Art ” and it’s one of the challenges I didn’t want to miss I love their style and I love postcards to so it’s a match made in crafting heaven. 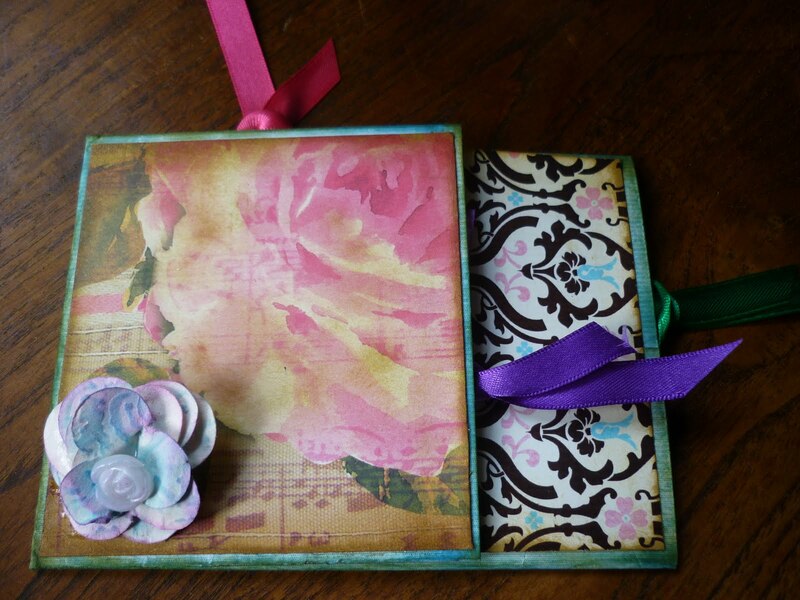 The lovely ladies over at Try it on Tuesday also have a great theme this week which is to ” Upcycle ” an element of your creation. Well here unfortunately it’s not quite obvious but my background is a box which I covered in beautiful gold embossed paper which I the attached silk and velvet material to. 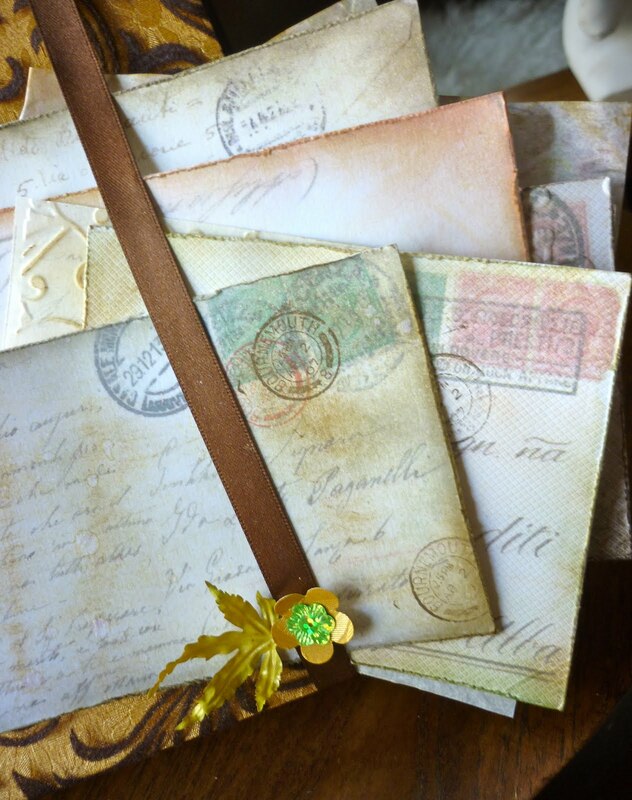 The postcards where vintage cards envelopes and letters which I added date stamps to from Crafty Individuals and distressed and inked the edges. Made myself a couple of flowers which I embossed and coloured with distress inks and attached the ribbon to hold the letters in place. Wishing a happy Easter to all of you that celebrate it ! Over at Get Creative it’s the last challenge of the month and the theme is to create a layout using ” Red ” here in Greece red symbolizes Easter from the crucifixion to the resurrection. 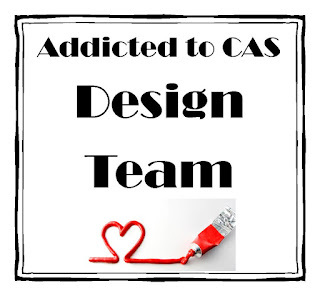 Pop over to Get Creative for more details and maybe take part in one of the three challenges we have going on this month and some fabulous blog candy to be won ! Also check out what the design team came up with on this tricky challenge. Less is More Week 11 Acetate. Firstly be warned LONG POST ! 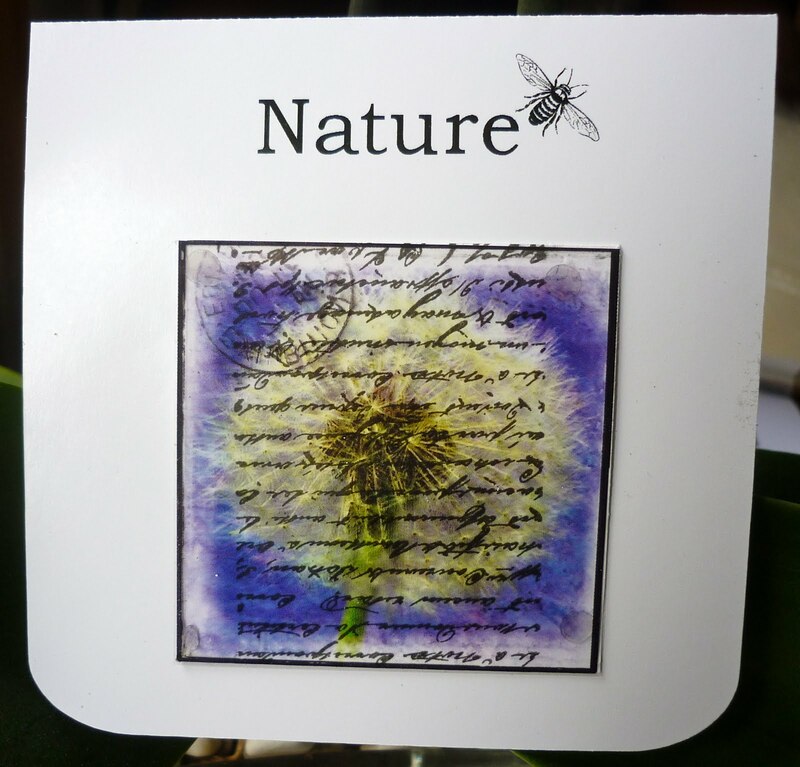 One of the reasons for the plunging is that I saw the theme ” Acetate ” now I know many of you went running for the hills but not me I love acetate ( well I did ) Anyone who has read my blog will know that I do like to make a card or tag or two with it. I think I can safely say now that I wont be using it in the foreseen future ! It wasn’t as easy as I thought , mainly because I have used it so many times and blogged them so was a bit stuck in the old creative department and of course this is Less is More so they have to be beautiful ! After using up half a box of these slippery plastics I literally got down to the last sheet. My silhouette refused to cooperate was feeling a bit peckish and kept munching them ( the machine not me ) . 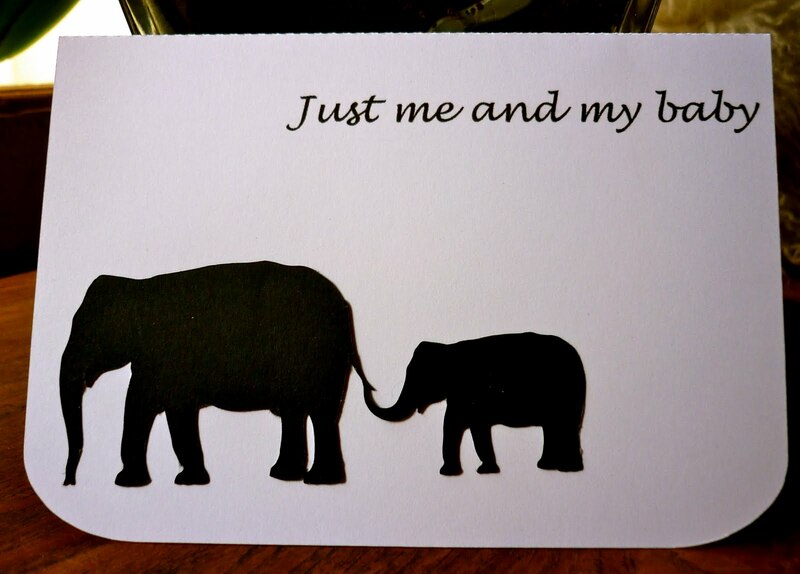 For the first one I used a Crafty Individuals text stamp and stamped onto glossy paper. I then printed onto acetate the bird image from one of the CI mini books and adhered it to glossy card. 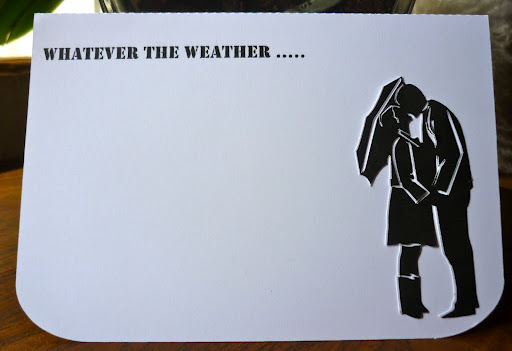 I printed my sentiment onto another piece of acetate and tried ( oh boy did I try } to cut a nice oval card shape with my Silhouette who just didn’t want to know (maybe it was trying to tell me something ) and as I say got to the last piece. It is literally a bit rough around the edges but by this time I was all done in so please don’t look to closely. Ladies I hope these fit the bill and looking forward to reading your comments or am I doomed for the shallow end ? As I said this was going to be a long one ! 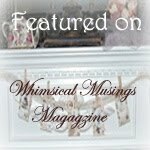 For the past few months I have been following the wonderfully talented and all-round lovely lady Cindy Adkins she has the most amazing on line magazine Whimsical musings Magazine where she features talented artists from all over the world. Guess what ? she recently asked me would I like to be featured , after I picked myself off the floor and dusted myself down and verifying that it wasn’t a joke I said a resounding YES !!! Pop over and check it out its amazing ! 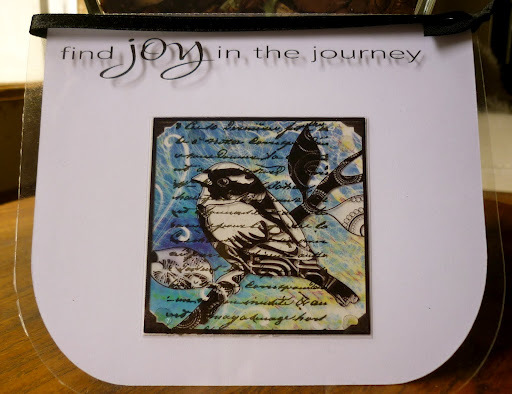 I was doubly pleased because one of the other artists featured just so happens to be the super talented Zoe who is team member of the Just for Fun challenge blog and it was the first challenge I took part in. Since then she has been encouraging me every step of the way ( I’m a new crafter in my fourth month now ) Not to mention she has a wicked sense of humour and I love her to bits. So for me to be featured with her was amazing. Pop over and see her personal blog. This little Place which is packed full of hint’s and tips and some great art. Previously and to my remiss I didn’t mention the very talented Lynne who was also featured. I have been following her blog for a while but have know her as Stampdiva so did not recognise her name. If you do one thing today go and check out her blog Bows and Bells it’s amazing . 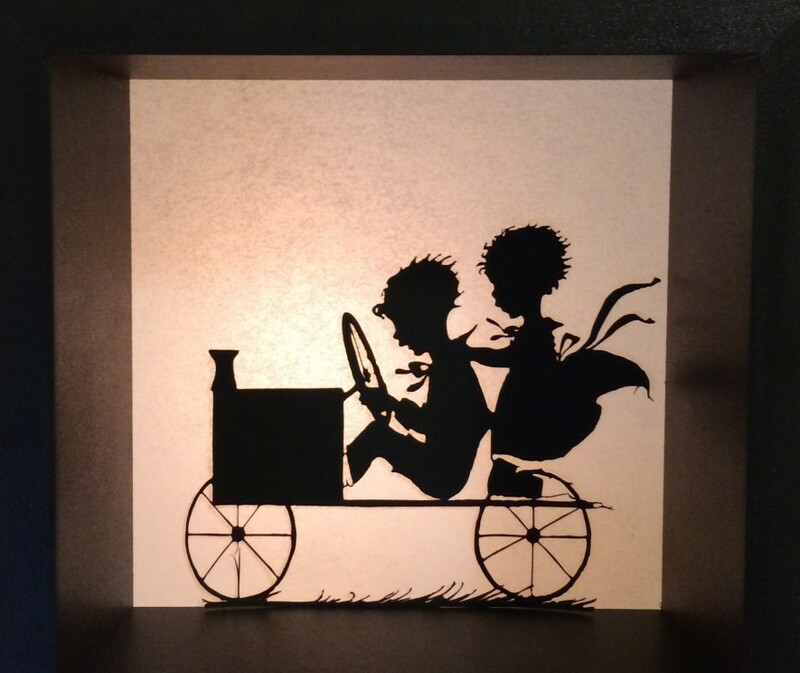 She has the most awesome creations you will ever see. Well if any one is still with me after my marathon posting thank you for staying . Have a wonderful weekend and happy crafting. Hello and good afternoon to all you animal lovers ! It seems like once again R & B ( see previous post ) have stolen the show ! The “Dastardly Duo ” the paper eating canines are the heroes of the hour ! While most of you or so it seemed felt sorry for me the little terrors have a growing fan club. I had many emails offering to send me scraps ( paper ) and hinting that I should feed them more often, most of you thought that it was indeed a sorry state but how cute they looked etc. They are indeed cute and lovable and perfect little pooches but mainly when they are asleep ! 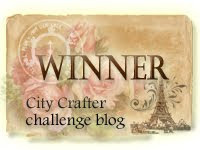 I digress, this week over at Just for Fun one of my fave challenge blogs they have set a little teaser, thank you Von ! The theme being star or stars . As usual it was a tricky one and I had three little projects on the go for it, I spent all morning with my pokey tool after die cutting a very intricate lace star and spending two hours trying to…. well poke out all the unwanted bits, only at the last minute to make a few extra holes than I shouldn’t have ! The upshot being it looked like something R & B had had for supper ! This is one of the reasons I usually avoid intricate die cuts either my patience deserts me or my failing eyesight ( am suffering from the dreaded bloggers blindness ). Suffice to say I am posting something completely different. After showing it to hubby who asked in all seriousness why was this dude destroying a broom !!!!!! I ask you ! It looks like a guitar to me, what do you think ? 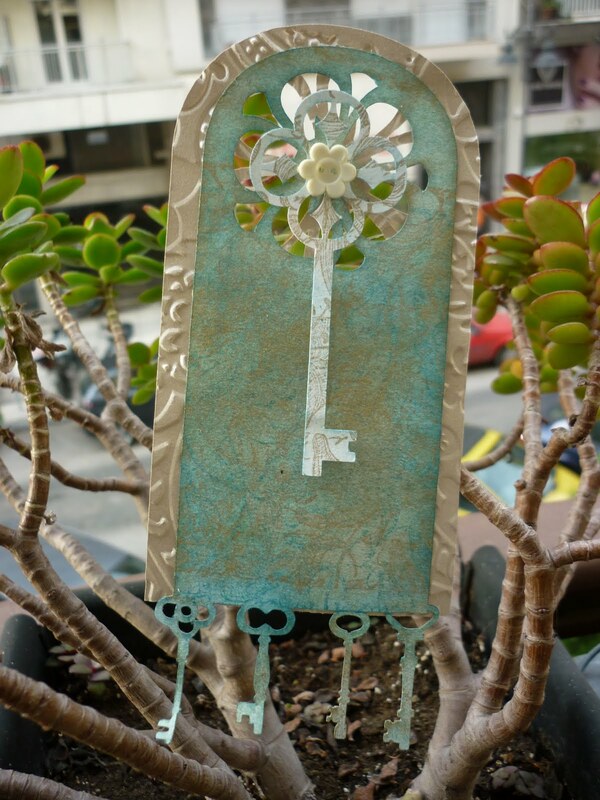 Keys and Tags ! and another dogs dinner ! What an afternoon I’ve had ! R & B ( Rosy and Bailey ) the paper eating mutts decided it was time to have another paper eating frenzy. As usual they waited until I had completed my little masterpiece and while I was in search of the camera they mauled it !!! It’s my fault of course I left it in harms way, it even crossed my mind that they might try a little sabotage so only have myself to blame. The two of them are now in hiding I can hear them somewhere muttering and trying to form an escape plan ! I have had to redo my masterpiece in fact now it is a little gem ( how many masterpieces can a woman create in one afternoon ?) Of course after I had finished the light started fading and had the age old problem of where to take the picture ! They both ended up being taken on my balcony in a plant pot hanging from a leaf !!!!. ( not me the photo’s) To top the lot I Photo wont let me crop the second picture so please excuse background. What’s worse is that the second of the two tags the Crafty Individuals stamp I have used looks non existent but I assure you it’s there ! 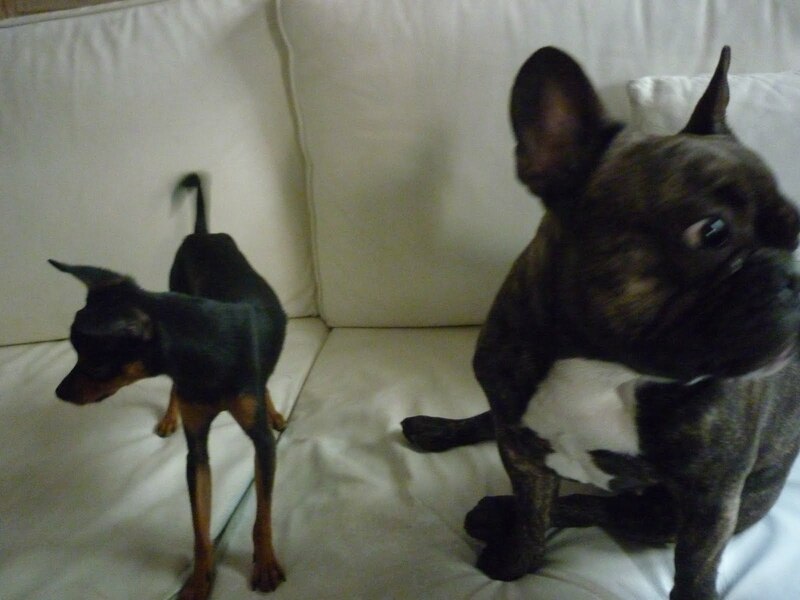 For those of you who haven’t met the dastardly duo here is a picture of them avoiding eye contact with me ! I want to enter these tags for two challenges (maybe I should enter the dogs might get more comments that way ) The Three Muses this week has keys as their theme , I love their site the always have interesting challenges and this weeks is no exception. So just to sum up …..Two dodgy tags (second attempt ) poor visibility, unable to crop and two dogs on the run ! Hope you had a better afternoon than I did. Try it on Tuesday " Black, Red and Cream "
Over at Try it on Tuesday the weekly challenge is to make a tag using the colours black, red and cream, well what a coincidence ! I was just in the middle of making a tag with cream and red when I came across it. Must have been fate it’s the first time that’s happened to me. Although they didn’t specify the size mine is a little on the large size a bit like ” The attack of the Giant Tags ” . 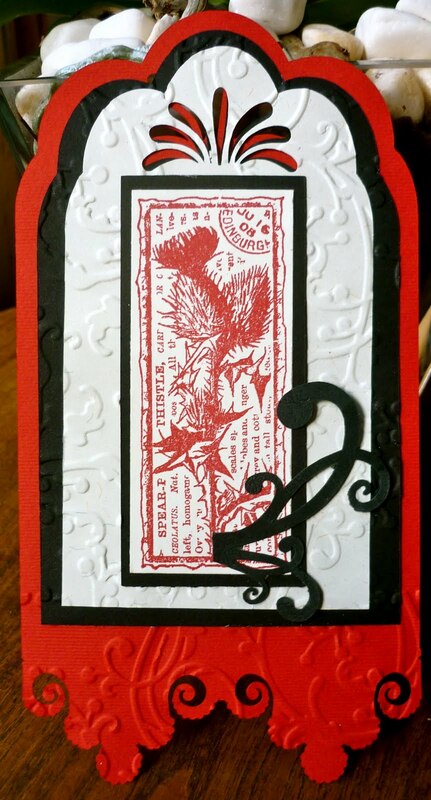 I used one of my favourite Crafty Individual thistle stamps which I stamped with Real Red SU ink, I cut out the three tags of varying sizes ( about six went in the bin ) and then passed them through my texture boutique to give a little texture. 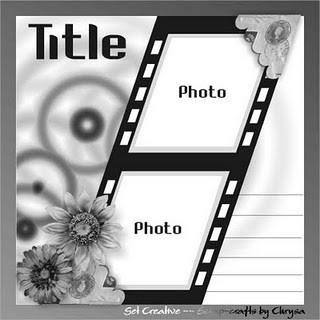 Get Creative Sketch for Card and Layout Challenge. The tenth of the month sees a new challenge over at Get Creative and I’m making my second appearance as design team member. 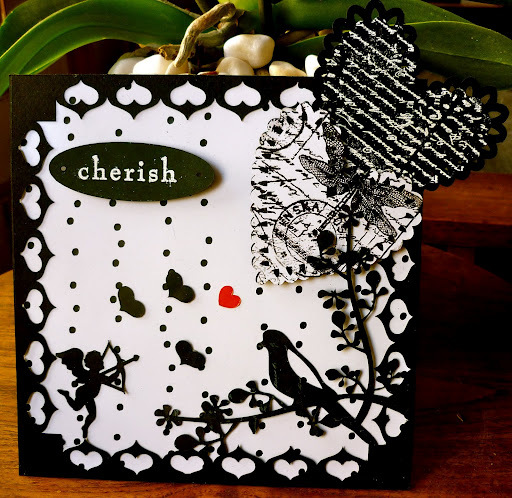 The challenge is to create a card or layout based on the above sketch , which has been set for us by the very talented Chryssa. 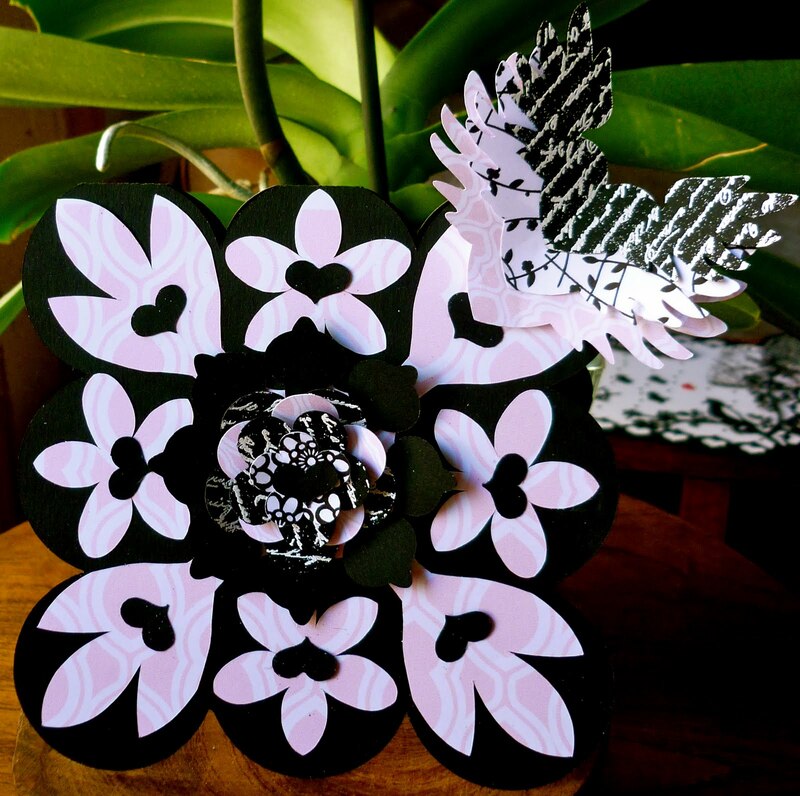 I used my Silhouette to die cut all of the shapes and stamped onto the hearts using two of my favourite Crafty individual stamps the top one I embossed using SU white embossing powder and basic black ink on the second one again by SU. The sentiment is from SU which I again embossed in white. The second card is based on the same sketch but did not in fact enter this one I just wanted to see if I could come up with a couple of variations based on the sketch. 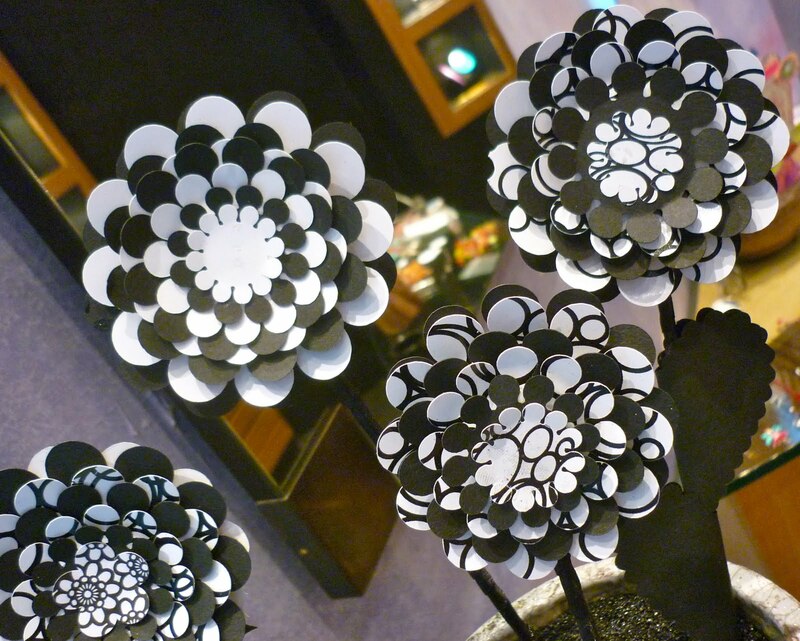 Why not pop over to Get Creative to see what the other talented design team members have come up with .